President Obama's Father's Day speech included one provocative, yet very declarative, sentence: "We should reform our child support laws to get more men working and engaged with their children." Obama didn't elaborate, but we can build on what he said because, yes indeed, child support laws urgently need "reform." Child support is not even really child support, because the mother has no obligation to spend the money on the kids, and faithful payment of child support does not buy the father time with his kids. The purpose of child support is to allow the mother to maintain a household and standard of living comparable to the father's. Because of perverse incentives, a so-called "no fault divorce" is often followed by a bitter child custody dispute with bogus allegations of domestic violence or child abuse, and the winner can get a huge child support windfall. Usually the family court judge cannot tell who is telling the truth. A California wife, under community property laws, is entitled to 50 percent of her husband's income and 50 percent of her own income. But if she divorces him and gets custody of their two kids, she then gets 40 percent of his income plus 100 percent of her own income. We can no longer ignore how taxpayers' money is incentivizing divorce and creating children who never or seldom "engage" (Obama's word) with their fathers. We can no longer ignore the government's complicity in the predictable social costs that result from more than 17 million children growing up without their fathers. Fatherless boys and girls are much more likely to run away, abuse drugs, get pregnant, drop out of school, commit suicide or end up in jail. The root of the family court evil is the redefinition of a legal doctrine called the Best Interests of the Child. This phrase originally meant the presumption that courts should generally stay out of family decisions because, as the Supreme Court wrote in 1979, "natural bonds of affection lead parents to act in the best interests of their children." Some states say "best interests" and some say "best interest," but it means the same thing. That's just a buzzword to conceal the transfer of parental rights to judges. Second, the "best interests" standard undermines parental rights. Instead of saying that parents are the final authorities, as the family unit was understood for centuries, it allows judges to make routine child-rearing decisions. Third, courts have no competence to determine a child's best interests, so they rely on poorly trained evaluators who make unscientific recommendations about custody and visitation. There is rarely any evidence that a court-defined schedule is better than joint child custody. Reform should get family courts out of the practice of pitting parents against each other, entertaining criminal accusations without evidence, assessing onerous support payments, sending dads to debtors' prison and appointing so-called "experts" to make parenting decisions. Instead, the courts should protect the rights of both parents. In past Father's Day messages, Obama has blamed fathers for abandoning their responsibilities, but this year's message had no such comment. 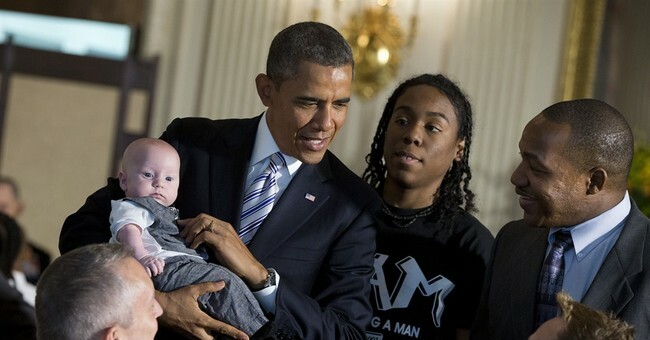 Perhaps Obama has learned that many fathers are locked out of their rights and responsibilities by family courts.